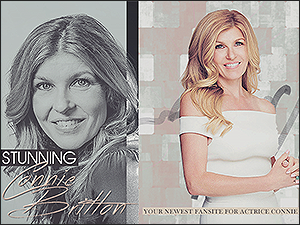 Hello everyone, I’m Holly and I’m the new owner of Stunning Connie Britton! Unfortunately Chanel had to step down but she was kind enough to hand the site over to me. I will be adding things slowly to the site and hope to have the gallery completely up to date for you within the next month! Welcome To Stunning Connie Britton!